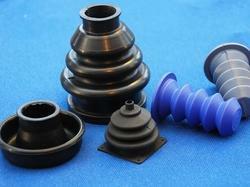 We offer comprehensive range of global standard Rubber Components to our esteemed clients. With the support of competent teams, entire array is produced using cutting edge technology. Top quality raw material such as rubbers, oils, chemicals, CAF, NACF, PTFE, SS, cloths and others are used in production of top notch products. 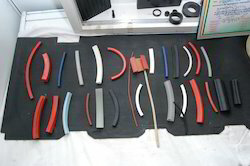 Excellent quality rubber products find application in hydraulic systems, chemical plant machinery & equipment, automotive wiring harness, automotive seating systems, material handling machinery and many others. Providing you the best range of automotive rubber component, rubber bellows, rubber parts, rubber damper and rubber rings with effective & timely delivery. 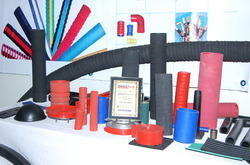 Prominent & Leading Manufacturer from Pune, we offer extruded rubber profiles. Manufacturer of a wide range of products which include rubber hoses, oil suction & discharge hoses, rubber hoses with flange, cement grouting hoses and hump hoses. 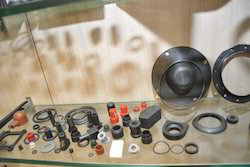 Offering you a complete choice of products which include silicon gaskets and ring joint gaskets. 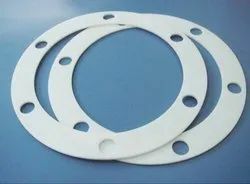 Our product range includes a wide range of ptfe gaskets.